YJ Trail Cage Kit for Jeep Wrangler YJ 1987-1996. The Poison Spyder Trail Cage is designed for those Jeep YJ owners who already have the factory roll bar, and would like to add on to it to form a Full roll cage rather than installing a complete new cage. 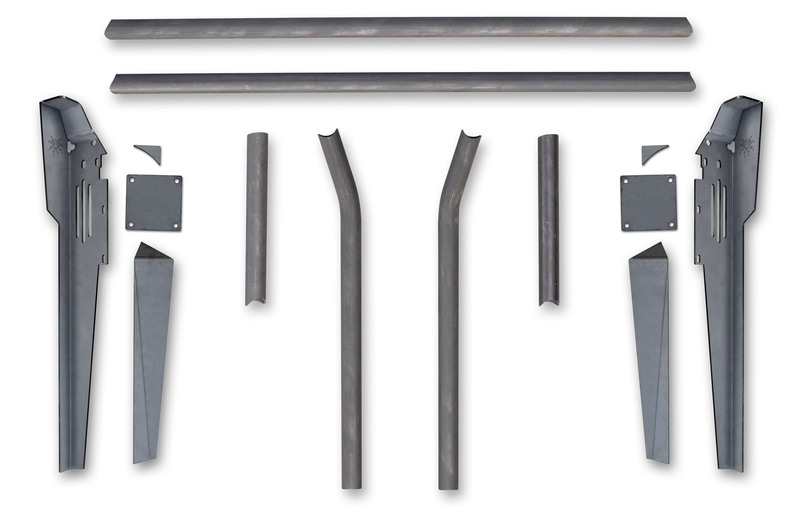 The Trail Cage kit is an eight piece set. It comes with two Lower A-Pillars (dash to floor supports) and two tubular Upper A-pillars that are to be welded to the factory windshield bars. Also included are a dash bar, upper windshield bar, and two center spreaders that can be located in several positions.